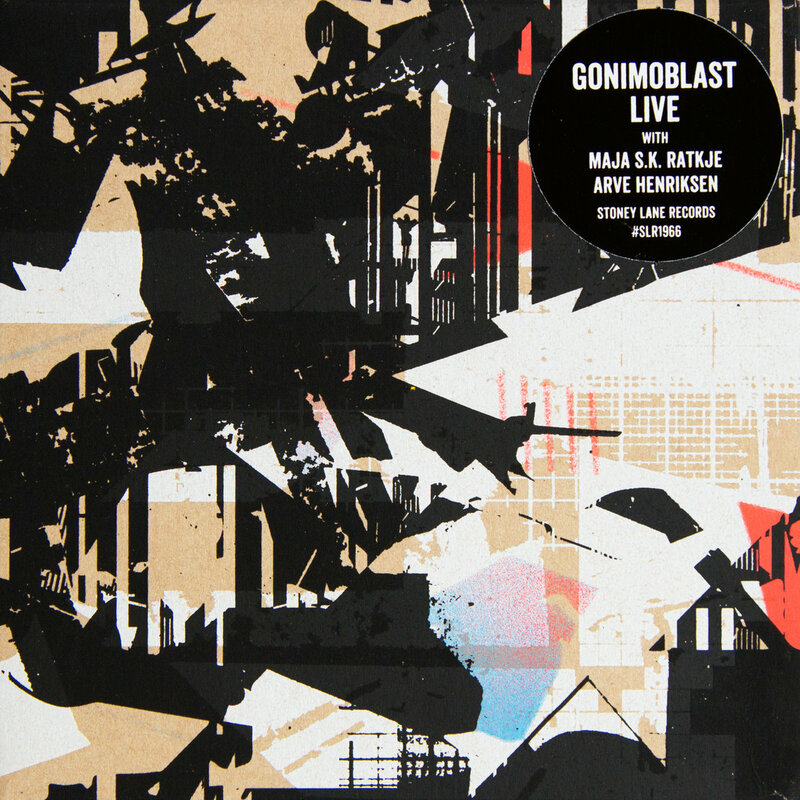 Gonimoblast, the ever-inventive sonic, electronic and jazz-inspired improvisers, led by dynamic bassist and composer Chris Mapp, are to release a double live album featuring striking guest performances from leading Norwegian vocalist Maja S. K. Ratkje and renowned trumpeter Arve Henriksen. Joining Mapp, drummer Mark Sanders, keys player Dan Nicholls and electronic wizard Leafcutter John, Disc One features special guest Maja SK Ratkje. Having seen her solo performance at Punkt Festival in 2013, Chris was inspired to find a way to work with her, with Gonimoblast Live being their debut performance together. Maja’s beautiful voice, open approach and use of electronic processing guides the music from oscillator explorations to a joyous, apocalyptic finale. Limited to just 408 double CD albums, Gonimoblast Live features original artwork by artist Tom Tebby, with each unique individual album screen-printed, hand painted by the artist and assembled by hand. This entry was posted in Blog, Guest appearances, Recorded improvisation. Bookmark the permalink.